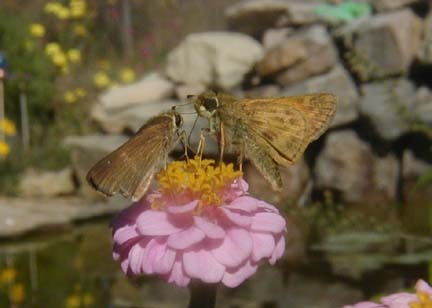 "This flower ain't big enough for the two of us!" 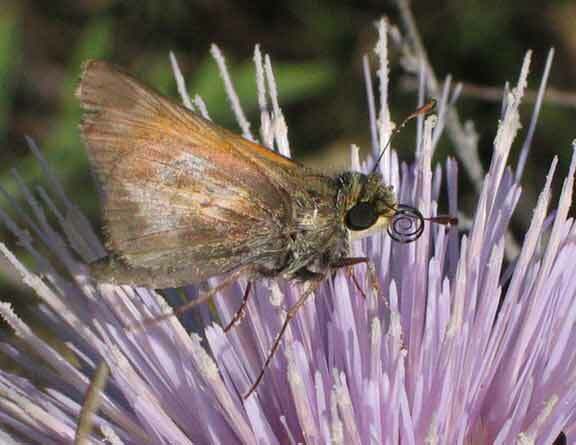 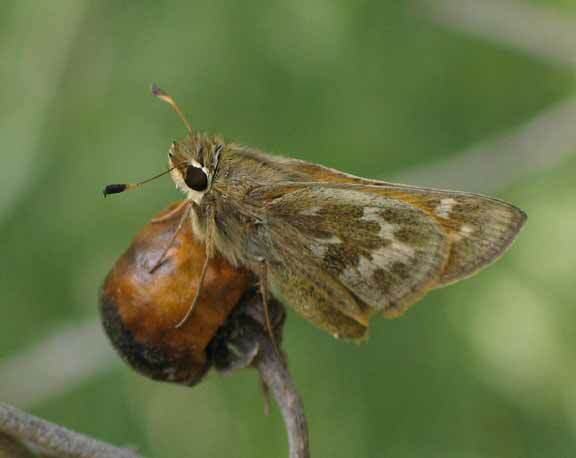 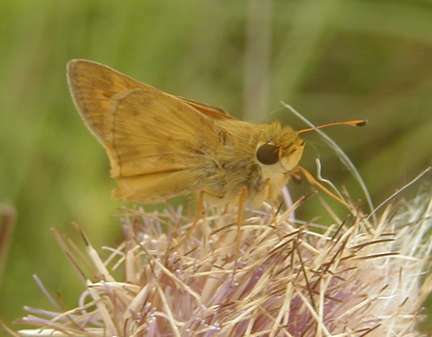 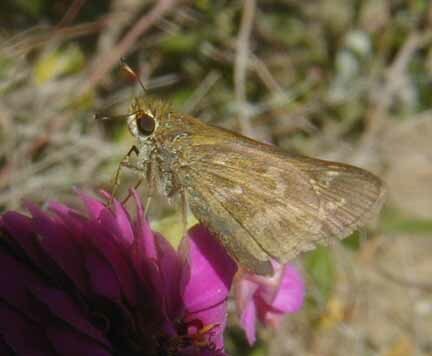 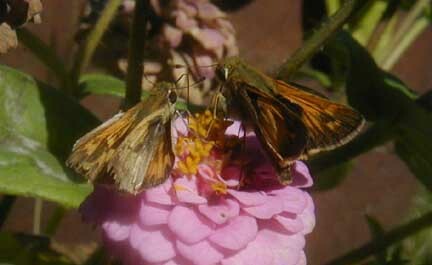 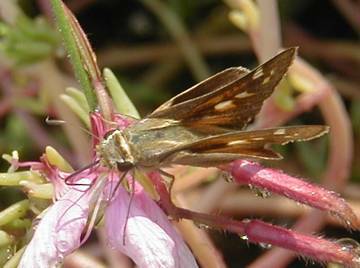 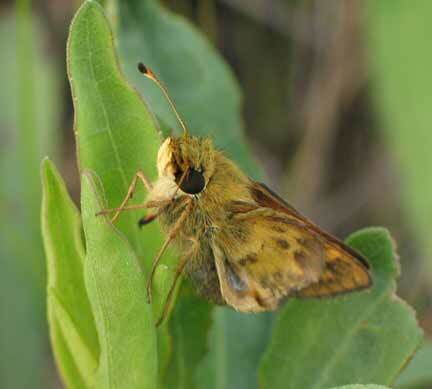 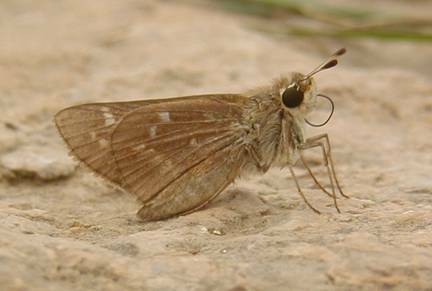 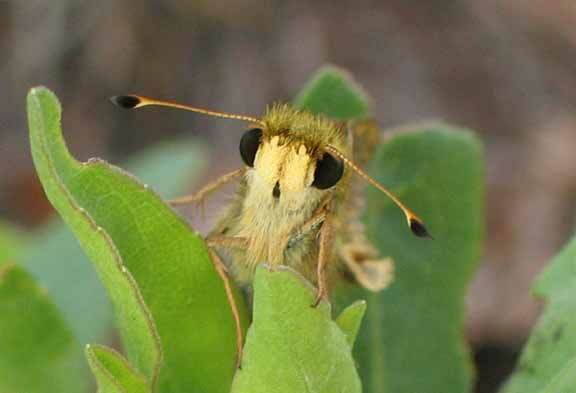 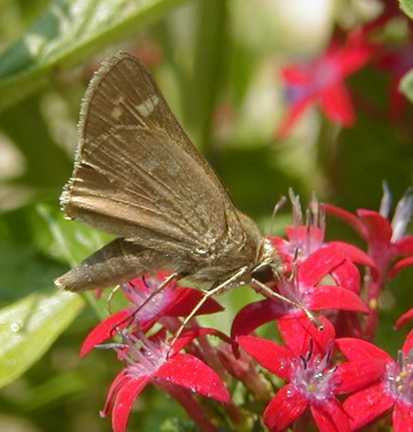 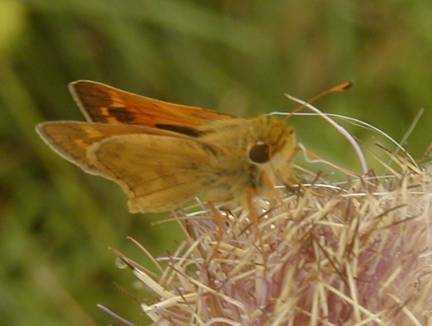 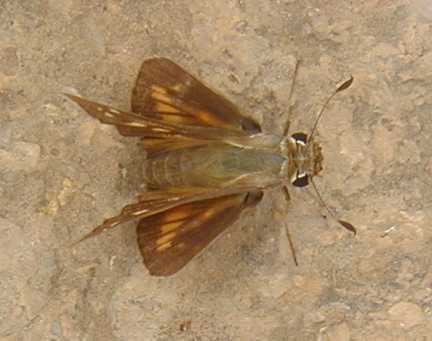 Ocola Skipper (left) and male Sachem (right). 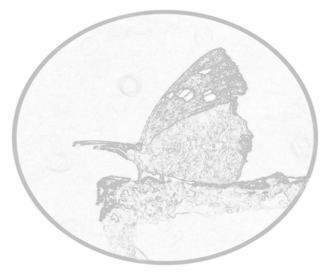 The Sachem won.